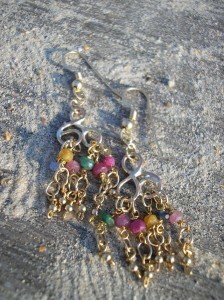 These earrings are made of 9ct gold wire, they have gorgeous faceted emerald, yellow and blue sapphire and ruby beads. 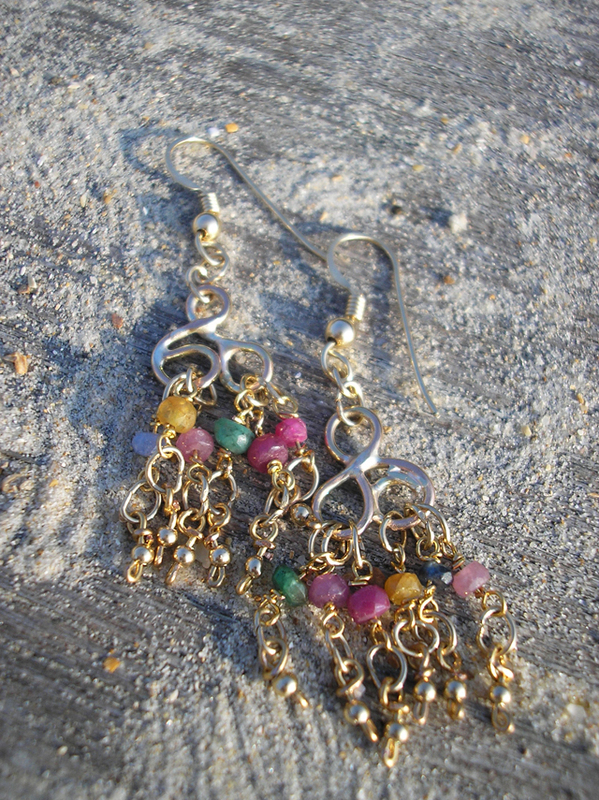 The picture was taken on a beach near to my home, they are perfect for in the late summer sunshine, it makes the beads twinkle and come to life. 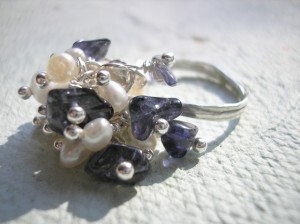 This ring was made for my wedding range but I think it could be worn everyday. 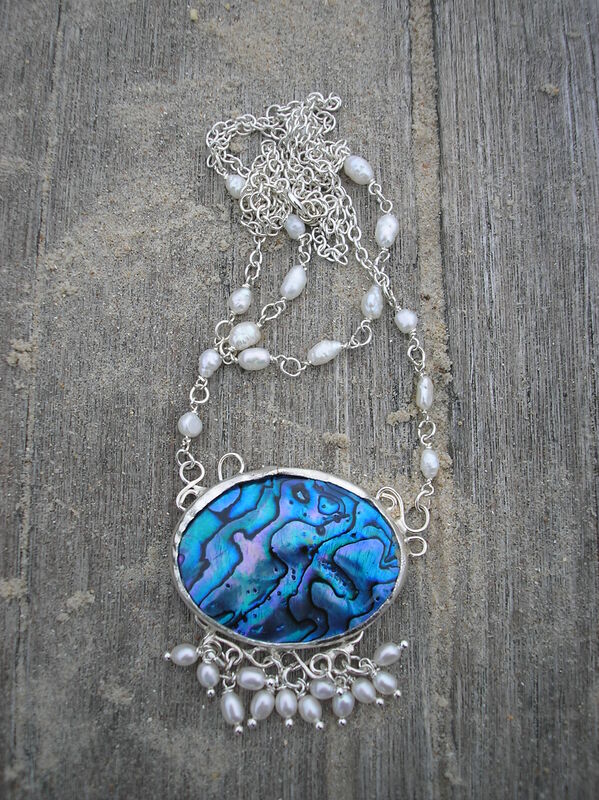 It is made from silver wire and has clusters of freshwater pearl and delicious iolite chip beads. 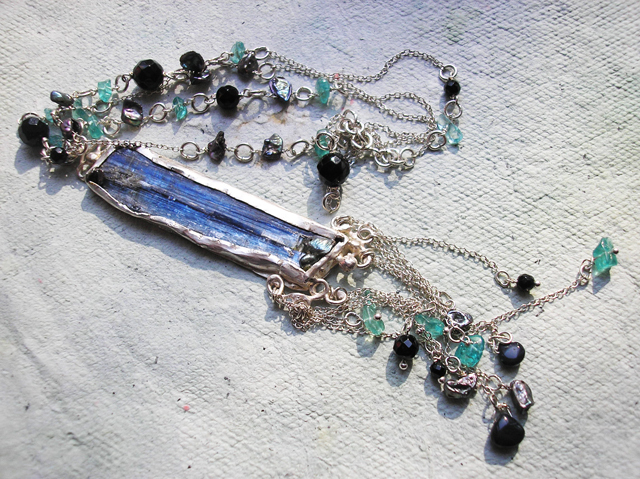 Iolite is just to die for ! 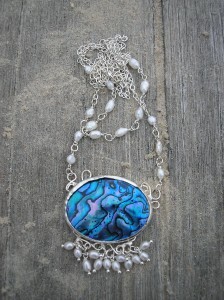 it is such a beautiful stone and I think amongst my many favorites it is in my top five. 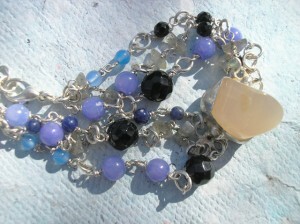 You can check more of my jewelry on my web store.